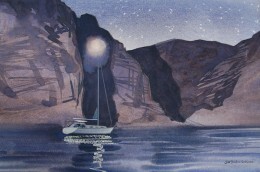 Some years ago we found ourselves drifting along under full sail on a night with no moon. We were not going far, and we had hoped to be at anchor before nightfall, but since there was no wind – and since we don’t believe in using the engine except in time of need – a two hour sprint had been transformed into an eight-hour marathon. So there we were lazing along at scarcely half a knot, with our island destination on the bow, when suddenly from out of the darkness there appeared the dark and indistinct shape of a yacht at anchor. We had been gazing in this same direction for five hours, and yet we didn’t notice the yacht until it was about four boat-lengths away. Had we been travelling just a tad faster – at two knots, say – then we would have T-boned it. 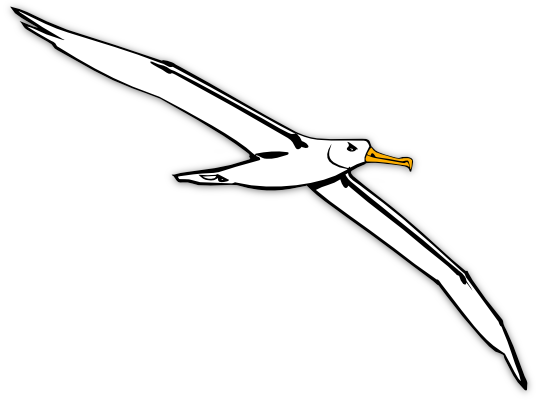 As we slipped astern of the yacht we saw that it was not, in fact, completely unlit; above the cockpit there was a faint glow. “It’s good enough,” the old boy replied. “It’s perfectly legal – all you need is a candle – and it’s served me well for a good many years”. Arnold went on to say that it is the responsibility of a vessel underway to keep clear of an anchored one. This is true – but his faith in the virtue of candle power is misplaced. The law says that vessels under 50m when at anchor must exhibit an all-round white light which is visible for at least two nautical miles. 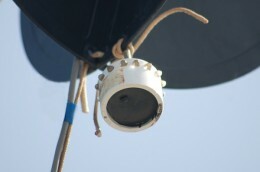 The light must be placed in the forepart of the vessel or “where it can best be seen”. So why was our friend reluctant to comply with the law? Why did he continue to endanger the safety of his vessel and risk his own neck, by using a light which was clearly inadequate? We all know the answer to that one : Arnold lives aboard a small production yacht, and he has not got enough power to run a bright light throughout the night. 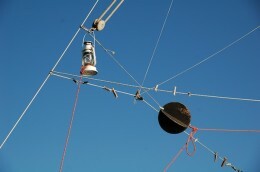 The average dedicated anchor light – the sort fitted “where it can best be seen”, at the top of the mast – carries a 25 watt incandescent bulb. Power conscious folk sometimes use a 10W bulb, although this is scarcely bright enough to meet the legal requirement. Even a 10W bulb uses almost an amp. In the course of a tropical night it uses 10 amp-hours, and to produce this electricity one would need the full output of a large solar panel for at least 6 hours, or the output of an efficient wind generator spinning merrily in a force 3 for more than 6 hours. Either that, or one would need to run the engine (charging at 40 amps) for half an hour. Living aboard, you would have to do this every day – or every day that you were at anchor – just to keep the light burning through the night. Personally, we cannot afford this waste of our hard-won resources. Our power all comes from the sun and the wind, and most of it goes on running our computers. So far as lights are concerned, we had to find a much more economical solution. There are various solutions to the lighting problem – and we’ve tried most of them. In the dim (very dim) and distant past we used to rely on a paraffin-fuelled “hurricane lamp”. Like any other paraffin lamp it was messy and smelly, and it was certainly not hurricane proof; in fact, it was not even proof against a force five. Moreover, on those nights when the light deigned to stay lit until morning time it frequently sooted up the glass to the extent that it was more or less opaque. John Masefield, the poet, once wrote about a full-grown iron sailing ship which was hit by a steamer and sunk – and all because its lamps were too feeble to be seen. In the days when everybody used oil lamps for their navigation there was even a signal which mariners could use to inform one another that their lights were out or burning low. Nowadays, with everyone else expecting a vessel at anchor to be well lit, the use of a paraffin-fuelled anchor lamp is foolhardy. Besides that, although oil lamps are undeniably traditional they are also undeniably bad in environmental terms. Having done away with the old “hurricane lamp” we moved on to a 5 watt 12 volt bulb which was placed inside a plastic peanut butter jar (the previous content having been consumed, of course) and hung in the fore-triangle. This was a cost effective solution, but not a very satisfactory one. It certainly wasn’t visible for 2 miles, and yet it still ate up the electricity. A solar-powered light seemed like a good idea, and so for our next try we bought one – from a garden centre. We were very pleased with this latest acquisition. It took no power at all from the ship’s batteries! But then we realised that the light was not even visible from the beach, a bare quarter of a mile away. Worse still the little glow-worm was not designed to cope with a long night and, except in the middle of summer, it died altogether before daybreak. The solar powered garden gnome (as we called it) consisted of two LEDs, and although it was not adequate it was plain that this was the way to go. What we needed, we reckoned, was more LEDs. Various torches were considered, but none provided an all round light. A friend with a swanky 50 footer bought an LED camping lantern and hung it up. This was an improvement over the garden gnome – but not a sufficient one. Another fellow bought a battery operated head lamp – the sort of thing intended for the use of cyclists and pot holers – but although this was impressively bright it was only visible through 180°. Another friend bought a dedicated LED anchor light – a pukkah marine fitting – and this impressed us greatly until we saw the price tag. £120… for an anchor light! At this stage Caesar decided that DIY was the answer. He bought ten LEDs from an electrical suppliers and joined three of them together. “Hey! Look at this!” he said proudly. But as we looked one of the little lights got brighter… and then there was a sudden pop, and pieces of LED were sprinkled across the boffin’s bed. LEDs require a very exact current. If the voltage supplied to them – and thus the current through them – is a tiny bit too low they go very dim. If the current is a tiny bit too high their lifetime is reduced from around 100,000 hours to 100 or even less (depending on the degree to which they have been over-cooked). If the current is just a bit higher again, they explode – QED. What Caesar had done initially was to join four LEDs in series, so that they each got a nominal 3 volts. Since the ship’s batteries were a bit low that evening the result was a rather feeble light, and so he removed one LED. That gave the remaining three plenty of juice and perked them up enormously… but all too briefly. To stop this sort of thing from happening LEDs need a current regulator. This ensures that even if your batteries are fizzing away at 15 volts the LEDs will still get a steady current through them. Meanwhile, if the battery is low the LEDs will still burn brightly, until the level falls below the regulator’s minimum requirement. Anybody who lets his batteries get into this state is looking for trouble, of course, and can expect to have to buy new ones rather sooner than he had hoped; but it would come as something more than a disappointment if he also found that he had to replace his anchor light and any other LEDs. Thus it becomes clear that a regulator is an essential part of the unit. At this stage in the game Caesar didn’t have the time to be playing about and learning how to build workable LED lights – he didn’t have time to study physics in the raw because he was too busy studying it in book form, for his A Levels. (And doesn’t that speak volumes about our modern system of education…?). As I write, Caesar is just beginning to play around again with electric and electronic bits and bobs, but in the meantime we still needed an anchor light, and so there followed many hours of internet research (which is a thing for which Our Boy can always find the time). Costs and claims were analysed in depth, until eventually Caesar plumped for an outfit called Bebi Electronics. Bebi are based in Fiji and their name is supposed to be pronounced Mbambi… but we call them Bebby. Their product sounded very good, as did their outlook on life. They employ local people at a fair wage and, as we discovered when we placed our order, they wrap their products in a page of the previous week’s local newspaper and use postcards of palm-fringed beaches as compliment slips. Little details, I know, but it’s always nice to deal with people who have their heads and hearts in the right places. Bebi are also sailors. They know what it’s like to have a wave smash through the forehatch and wipe out your cabin lights. As a result, all of the lights which they produce are 100% waterproof. Bebi LED lights are regulated to run on anything between 9 and 15 volts, and so confident are the company of their products that they give them a lifetime’s guarantee. If your Bebi light goes out for any reason other than the battery providing more than 15 volts they will replace it, free of charge. The Bebi anchor light is called Owl, and it costs $37.50 USD plus a $6.50 handling charge. Bebi also make LED navigation lights and cabin lights, but in this last category they seem to have been surpassed. LED room lights take a bit of getting used to, partly because they are fiercely white and bright, and also because they shed their light in a small pool. Despite these initial reservations we were adjusting fairly well to our large and small-sized Bebi cabin lights – until we discovered UltraLEDs. Unlike the Bebi lights, UltraLEDs are not waterproof. They consist of a rather fragile-looking arrangement of diodes stuck onto a thin piece of plastic. Whereas Bebi lights are sufficiently robust to stand alone, the UltraLEDs are supposed to be used inside some kind of standard light fitting. Nor are the people at UltraLEDs so much fun to deal with as Bebi . In fact, their customer service is terrible. They seldom answer e-mails; they sent us the wrong goods; and some friends who have dealt with them claim that this company refused to honour their guarantee (which is only 90 days anyway, as compared to Bebi’s lifetime guarantee). 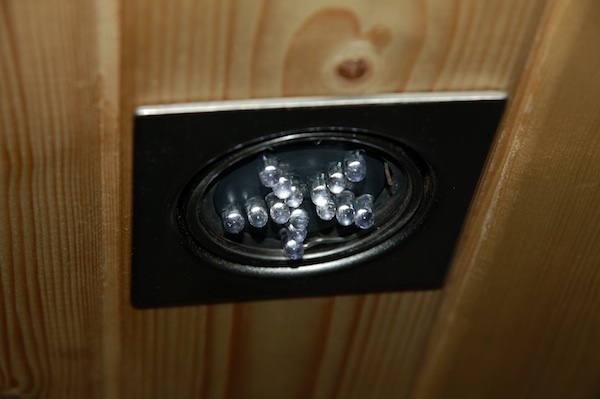 However, when judged purely on the basis of the product, UltraLED cabin lights knock spots of Bebi’s on three counts. Firstly, they are brighter than Bebi’s cabin lights. Secondly, their regulators allow an even greater range of maladministration in the battery department. Thirdly – and most important of all – they shed their light over a wide area. The Bebi cabin lights are absolutely ideal as reading lamps, but they are not up to the task of illuminating a whole cabin or even a dining table. Whether our new cabin lights will endure is a thing that we have yet to discover. LEDs give a far brighter light when not placed behind a standard refracting lens – whereas the lens serves to amplify an incandescent bulb, for some reason it merely dampens an LED – and so both our Bebi lights and our UltraLEDs are simply glued to the deckhead. This leaves them exposed to the warm wet breath of the galley. We’ll let you know how they get on. As for the Owl anchor light – concerning this we have no qualms. LEDs are in their element when used as lights to be seen rather than to see by, and Bebi’s Owl is amongst the brightest anchor lights to be found. Our mate’s £120 anchor light looked super-bright, until we hung the owl in our rigging. After that it looked pretty pathetic. The Owl hangs by its own wire in the fore-triangle, makes no noise or smell, eats only 0.06 amps, is visible from over two miles away, never goes out, and is so rugged that it will probably outlast the skipper and the admiral. Everybody keeps coming to ask us where we got it. Well, now you know. Thank you for the article! One small correction is that LEDs are current, not voltage devices. It sounds trivial, but it really isn’t. If you’d like me to expound a bit further on all of this, I can, just don’t want to bore you. The ‘flat’ (SMT) devices [as used on UltraLEDs’ lights] aren’t exactly what they seem to be at first glance, or we would be using them. First, their light output per energy consumption isn’t any greater than the devices that we’re using, there is just more light generated from fewer devices. In fact, although the difference is trivial in any sort of meaningful measurement, the Nichia DS series of devices [ie. the ones used by Bebi] are still the most efficient LED devices in converting electrical energy to light energy in production. Luxeon [the first manufacturer of the flat / SMT devices] specifically does not recommend using their devices in exposed locations. I consider that we build lights for rough usage, and have carved a niche for ourselves doing so. I don’t think that we could ever hope to compete with China with high volume production. We do also make a light which is designed to replace the typical 12 volt fluorescent light. http://www.bebi-electronics.com/fautasi.html . On this page, I have some comparison pics of a 8 watt fluoro and our products. Don’t look at how bright the light looks, look at the work surface and the detail of the surface. None of the pics are touched, and they were all shot with the same camera settings (although the warm white and the dimmer photos were taken at a later date). Thank-you for your comments, Michael. Yes, it’s true; I should have mentioned the fact that the UltraLEDs, being brighter, do use more power than Bebi’s lights. Right now we’re in the middle of a dispute with UltraLEDs. We ordered £90 worth of lights and they didn’t arrive, but despite the fact that the company say on their website that they will re-send any lost orders within 15 days, they are refusing to do so until they have been refunded by the Post Office. And they say that the Post Office “usually finds an excuse not to make the refund”…! Bearing in mind that the parcel had to be signed for this seems somewhat unlikely. 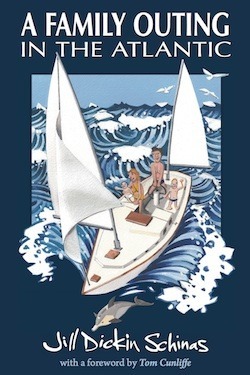 UltraLEDs also say that they are not going to send things to yachts anymore because “it’s not cost effective”. As I mentioned in the article, this is not the first time we have had a problem with UltraLEDs, and we know that other people have also had problems. We definitely won’t be doing business with them again. And this, for a product which we have been using daily (or rather, nightly) for almost 2 years. I know who we will be shopping with in the future! Only a week ago I received my two FAUTASIs from BEBI. My experiences with them were like the ones described above: Nice e-mailing, immediate shipping (to a yacht with a VERY complicated customs address, many companies cant cope with), timely delivery, postcard and newspaper. Some more friendly e-mails. The product is sweet and technically perfect. The resulting cabin light on my 32’er is more than adequate and pleasantly warm white. Those guys dont mind dealing with thrifty yachties and send their goods everywhere. 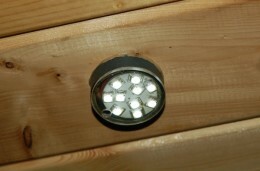 If I was more into soldering I’d look into more cabin lightings to replace 5W bulbs. 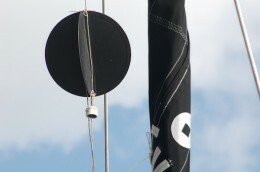 At the mast head I have an extremely expensive tricolour/anchor combination from Blue Water Light. Looks very sturdy and is watertight. At this price I would have expected at least tinned marine grade wire, which it has not. Hello, I tried some cheap LED bulbs in my car as short trips in winter drains the battery. In the sidelights and number plate lights the LEDs were not a success as they kept burning out. 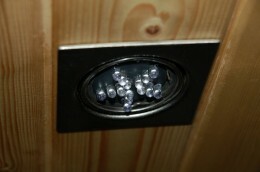 The four festoon LED bulbs in the doors (door open lights) are lasting well. These bulbs never get full voltage because the doors are shut when the engine is revving hard. These bulbs just use a series resistor for current control but this is not a good way to do it. ( Wiki “Constant Current Source”) I’ve known about this problem for quite a while and constant current drive is how Hella of Germany do it. I seem to remember seeing that there are now universal LED lights available, they work OK on 12 volts for cars and 24 volts for bus and truck! According to Hella a lot of alternators create a voltage spike when they kick in. Allegedly this spike is very detrimental to the LED bulbs that just use a series resistor. Best regards from Davey. Hi Davey, Thanks for your comment. As it seems you now realise, the reason your LEDs kept burning out is because of the variable supply voltage. When the voltage is too high, too much current flows through the LEDs and damages or destroys them. LEDs need a current regulator to work properly. Many prebuilt LED lights have current or voltage regulators built in, or if you are making your own lights it’s easy to use a component such as the LM317T to regulate the current. We regret to inform our thousands of customers in over 76 countries, that we’ve very reluctantly have chosen to close Bebi Electronics down. This has been a very difficult decision, after working for more than 10 years creating a viable business in a very obscure location, and in spite of all of the hurdles thrown at us by the current regime in Fiji.